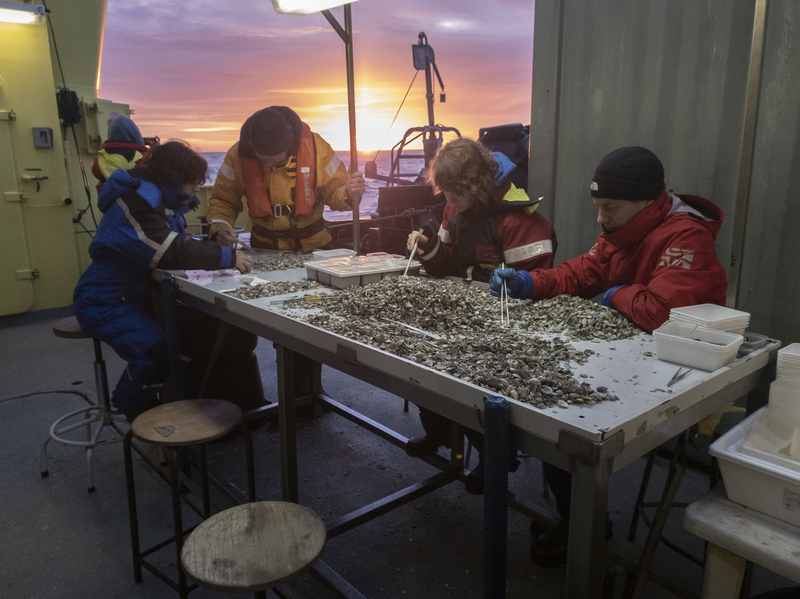 From February – March 2019, the Fieldwork Company contributed in a 7 weeks marine survey to sample the larger-sized, often more sparsely distributed and longer-lived in- and epifauna (> 5 mm) in the Dutch part of the North Sea. Using the Triple-D (Deep Digging Dredge), information was collected at 187 locations situated in areas with special ecological values. These were the Dogger Bank, the Central Oyster Grounds, the Frisian Front, the Brown Bank and an offshore area located North off the Wadden Sea islands. The survey was carried out in collaboration with colleagues from the Royal NIOZ, Eurofins and eCoast. The collected material was processed on board as much as possible. This meant that regularly large quantities of material had to be carefully sorted out after which sometimes surprising discoveries were made. The study was commissioned by Rijkswaterstaat as part of the Marine Strategy Framework Directive (MSFD) obligations. The fieldwork company © 2019. Website by Resultåt studios.